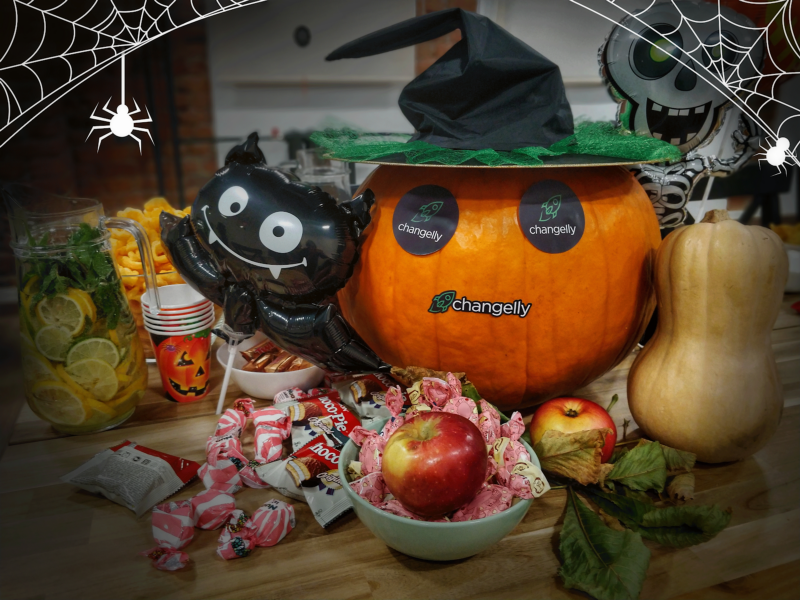 Changelly team wishes you the best treat-or-trick and the most fun on this spooky night! To provide you the festive mood let’s begin our digest with the most adorable news. Have you already seen our special Halloween Telegram stickers? If not, go join our brand new channel to be the first to get all the Changelly breaking news and don’t forget to add the sticker pack! Also, don’t miss the Name-Our-Mascot Contest on Twitter! You’ve probably already heard of Changelly’s getting incorporated in Malta. At the beginning of the month, we have attended Delta Summit to meet our old good friends and partners, such as Binance, Nexo, Bankex, BRD wallet, etc. Malta is becoming a true crypto hub, and we are thrilled to be a part of this process. There were truly prominent personalities among the summit speakers, inter alia Joseph Muscat, the Prime Minister of Malta, who pointed out the serious crypto intentions of the Maltese government. Breaking news for Ripple fans! You can seamlessly buy XRP on Changelly via our partner Simplex from now on. We have partnered with CoolBitX to empower its flagship product, CoolWallet S, with the Changelly instant crypto-to-crypto exchange option. It is the first hardware crypto wallet that allows you to securely trade on your smartphone. Exchanging coins have never been that fast, secure and cool as with Changelly and Cool Wallet. We have integrated our instant swap option in the Morph Wallet which is known for its safety and simplicity. Exchanging cryptos into other currencies can be very challenging since it involves a lot of data filling and requires attention. Changelly and Morph simplify the work allowing users seamlessly swap one crypto for another! Changelly supports and partners not only with giants of the industry but also with small but promising wallets. That’s why we are happy to announce our partnership with EMoon Wallet which provides its users unique traits like Metamask integration, native #ERC20 support, unique URLs for every pair. We believe that with Changelly swap option on board EMoon will rocket high to the sky! Ontology project is one of the most dynamic blockchain projects. We are glad to tell that ONT fans can now enjoy seamless crypto swaps inside the Ontology OWallet! We are happy to introduce our new partner who proves to be the prophet of the edge-security idea — the multi-currency Edge Wallet! Edge is a fully user-controlled, non-custodial multi-currency wallet. With Changelly’s API on board, Edge gives its users the first price hunting in-wallet exchange experience. Changelly is certain that security is the key to mass adoption of crypto. Logically enough, we’ve become proud partners with Safe Wallet, highly secure cryptocurrency wallet. It offers users a unique three-tiered security defense system that protects users in user behavior, device security and asset management to provide maximum protection for users’ digital assets! By the way, this month we’ve also written a comprehensive Guide on How to Exchange Crypto within Huobi Wallet. Why not use us in-app? Download Changelly mobile app on Google Play right now! ADA is not just another crypto asset, it is something bigger. It has grown from the Cardano’s successful attempt to create a blockchain project out of a scientific philosophy and a research-first driven approach. We are super glad to have ADA coin listed on Changelly, as now our users can easily top-up their wallets with this coin! Buy ADA here. In October Changelly became a partner with Jelurida software and blockchain company! Jelurida enables customers to cooperate, promote unique value propositions, and create new business tackling real market opportunities. We are happy to have its two offsprings ARDR and IGNIS available for Changelly users! Go follow the links to get some ARDR and IGNIS. Changelly cares about the future of the crypto industry and stands for its mass adoption. That is why we’ve partnered with ProCurrency, a token that unites blockchain and traditional commerce. What about investing in PROC? Groestlcoin is the first coin which activated SegWit, the Segregated Witness soft fork change. Segwit offers a solution to the problem of Bitcoin scalability. We are happy to have such an innovative coin among our partners! Buy GRS here. Stablecoins are the new market trend. Changelly watches trends carefully and adds this first Euro-backed stablecoin launched by Stasis! Time to stock up on EURS. POWR is back on Changelly and available for purchase again! This month we have been focused on improvements to our API performance. We’ve launched a brand new server, changed request limits and moved from the old socket to a new one. We also started a dedicated GitHub page and added a lot of new information on our webpage for developers. There are still a lot of improvements to be made, but thanks to your trust and support the road to the moon promises to be smooth and pleasurable. CoinTelegraph issued a press release on a Bithumb hack situation. Thanks to Changelly, Bithumb and South-Korean police quick cooperation the funds worth more than half of million dollars were recovered. Subscribe to us on social media to keep abreast of the latest Changelly news.